A WELL MAINTAINED, COSEY THREE BEDROOM HOME. NEWER ROOF (2014), AND A NEWER HOT WATER HEATER, ALSO FEATURES A LARGE UTILITY ROOM AND A NICE 10 X 10 SCREENED PORCH. BEAUTYFULLY LANDSCAPED FRONT YARD WITH A LARGE FENCED BACK YARD. LOCATED IN THE DESIRABLE BAYCREST WATER FRONT COMMUNITY. THIS COMMUNITY FEATURES A PRIVATE COMMUNITY BOAT RAMP, THE BOAT RIDE TO TAMPA BAY ONLY TAKES A FEW MINUTES. 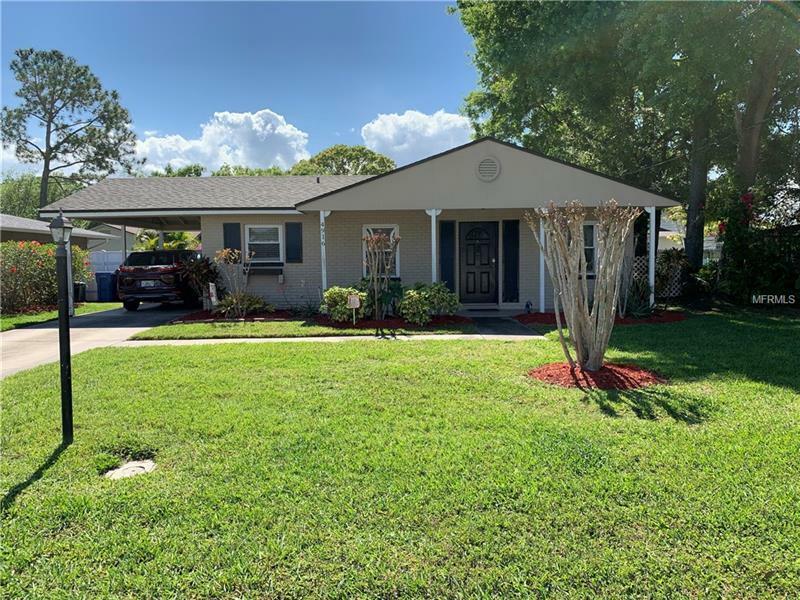 THIS HOME IS CENTRALLY LOCATED CLOSE TO TAMPA INTERNATIONAL AIRPORT, DOWN TOWN TAMPA, ROCKY POINT GOLF COURSE AND MACDILL A.F. BASE. EASY TO SHOW.